This episode is about outdoors, after work fishing and finding out where do goldfish come from. I’m fly fishing one of my favorite little rivers – Konapinkoski for catching goldfish, the notorious goldfish.. well , I mean ide fish. So go ahead, and click that play button! So where do I go for catching goldfish? I don’t know why, but I always seem to catch ide from Konapinkoski. And one thing I can say about ide fish, is that it’s so much fun to play in a river. And so many times when I see this golden fish at the other end of my line it looks so much like trout. So therefor this episode reveals where do goldfish come from. This is my favorite spot for catching ide. Usually ide is not eaten, but I’ve heard people mention how delicious ide fish is when smoked. I’ve tried it once. The only problem is that ide has a lot of bones. And in a very irregular order… at least compared for salmonoids. But smoking ide was an interesting and delicious test none the less. Next recipe I should test is ide burgers. This video is part of my 10k Fly Fishing Experiment. 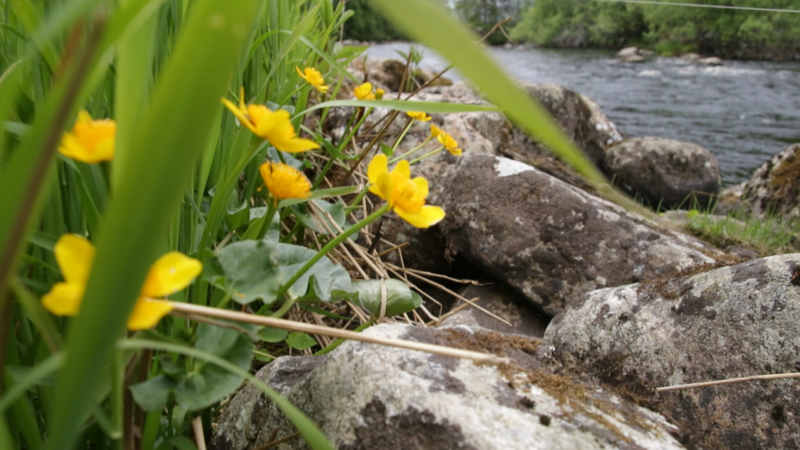 I want to share these outdoor adventures with you, to inspire you to get outside while teaching you fly fishing beginner tips. Episode 045 of 10K Fly Fishing Experiment. Hours 564 to 568 out of 10000. Catching goldfish in Konapinkoski, Kainuu Region of Finland. Fishing in Finland. 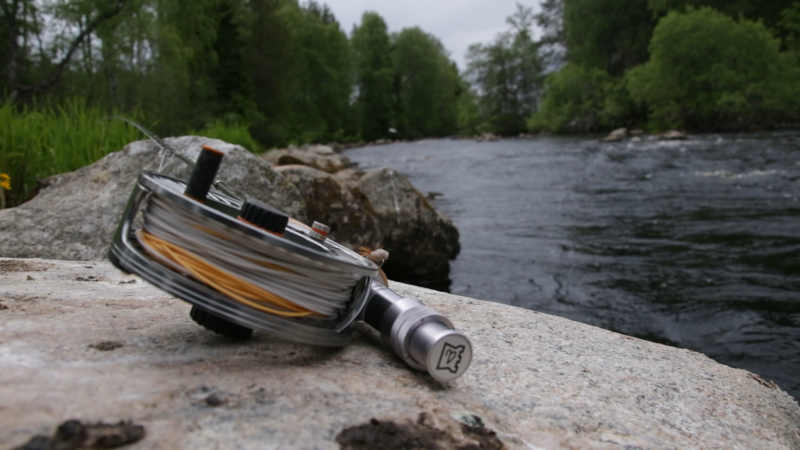 What is your fly fishing story? I mean, do you call yourself a pro – or still in the process of learning about fly fishing? 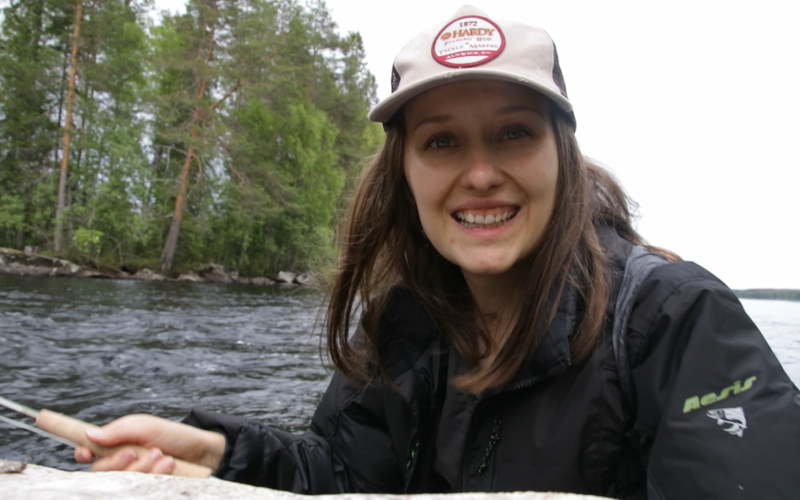 For those who want to learn and improve they fly fishing skills, I’ve put together a beginner fly fishing e-course, called Fly School with Anni. If that’s something you might be interested, click here and see if this would be something fun for you: kajanaclub.com/flyschool . Well, just thinking why I missed this site before so much awesome articles ! I am just a beginner, did not catch too much. here in USA, I’ve gone tamp bay and Gulf of mexico. It was so much fun and I’ve enjoyed a lot. Thanks, that’s so nice to hear. Tight lines!